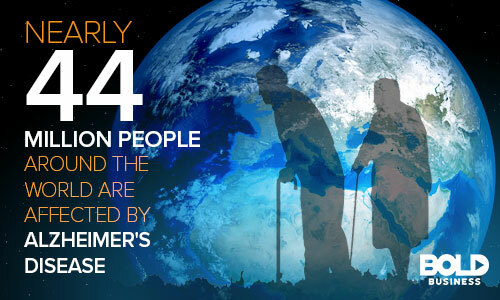 Nearly 44 million people worldwide have Alzheimer’s disease. In the US, 1 in 10 Americans over the age of 65 has it. By 2050, it is projected that sixteen million Americans will be living with Alzheimer’s disease. One actually doesn’t have to look too far ahead to realize the impact of this disease. Alzheimer’s is the 6th leading cause of death in the United States. In 2016, 15.9 million family caregivers provided an estimated 18.2 billion hours and $230 billion to people with dementia. 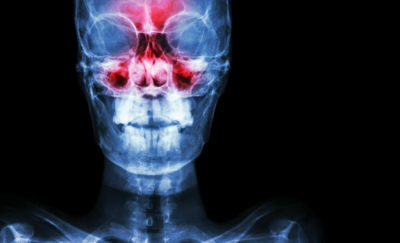 A potential new diagnostic tool is on its way. Researchers have been working on understanding this disease for years. However, Alzheimer’s disease still stands as the only disease in the 10 leading causes of deaths in the United States that cannot be prevented or cured. Despite the bleak statistics, there has been a glimmer of hope. 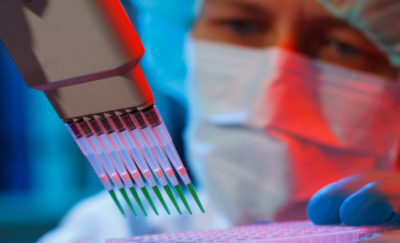 Researchers are currently developing a blood test that can help with the early detection of Alzheimer’s. And all this test needs is a tiny drop of blood. Currently, diagnostic tools for Alzheimer’s disease are positron emission tomography (PET) brain scans and the analysis of cerebrospinal fluid (CSF). Brain scans are time-consuming and expensive. Through this method, doctors are able to see the structure of the brain and check if it is functioning well. This is done by introducing “tracers” attached to glucose into the blood stream. Active brain areas will utilize glucose at a higher rate. Cerebrospinal fluid (CSF) is the fluid that cushions and delivers nutrients to the body’s central nervous system. This fluid also carries waste away from the brain and spinal column. A sample of this fluid is analyzed to check and measure changes in the fluid pressure, protein, and glucose. The presence of chemicals, bacteria, viruses and other harmful organisms can also be detected. This fluid is usually taken through a needle from the patient’s lower back area. This procedure though proven effective in understanding symptoms, can be painful and invasive. Alzheimer’s is a progressive disease. Symptoms develop slowly over a number of years and obvious changes only occur long after the disease has already made changes in the brain. This delayed onset of symptoms also hampers the progress of research regarding Alzheimer’s disease. One of the most common signs of this disease if memory loss, specifically remembering recently learned information. Some patients begin to experience challenges in completing daily tasks and put things in unusual places. They also may confuse dates, season and the passage of time. Patients also lose the ability to retrace their steps and have trouble remembering how they got there. People with this disease also experience change in judgement or decision-making. They begin to withdraw from their social circles because of feelings of confusion, suspicion, depression, fear and anxiousness. Our brain cells operates by communicating with other cells. Damage spreads and cause problems in other areas when something hampers communciation. People with Alzheimer’s disease have have unusually high beta-amyloid deposits according to studies. These protein deposits called “plaques” buildup in the spaces between nerve cells. “Tangles” on the other hand, are twisted and coiled fibers of the protein called tau. Most people develop plaques and tangles with old age. But people with Alzheimer’s disease tend to develop far more than usual. Alzheimer’s disease has no known cure. But early detection can help reduce the impact and slow down the development of symptoms. The knowledge that the disease is on its way can prompt a change in lifestyle. This test works by detecting the presence of amyloid beta (Aβ) and protein tau deposits in the blood. Even under extremely low concentration, abnormal levels of amyloid beta and protein tau detection by analyzing a few tiny drops. Remarkably, these protein forms start to appear in as early as 20 to 30 years before noticeable symptoms appear. Researchers are optimistic with the progress this test is making. With the potential of replacing expensive brain scans and invasive spinal fluid analysis, this test is hopefully available within the next few years.